I hope you've been enjoying this series of 2017 Cult favourites, which coincides with Cult Beauty's Cult Product of the year campaign. You can win a £100 Cult Beauty voucher daily so keep reading for more details on that! Today I am focusing on bath, body and hair products and I only have five products to talk about as I'm not overly adventurous in this area! At the end I will choose one of the five to be my Cult Product of this category! Today's Cult favourites of 2017 is all about makeup and this is a category where I could easily get carried away but I narrowed it down to nine and then I will choose just one to be my absolute Cult Makeup product of 2017! Don't forget that you have the chance to win a £100 Cult Beauty voucher - keep reading to the end for details on that! I usually post my end of year round up of favourite products in December but this year, I am posting them a little earlier to coincide with Cult Beauty's Cult Product of 2017 campaign, which is very exciting as you have the chance to win a £100 Cult Beauty voucher every day - keep reading to the end for details on that! 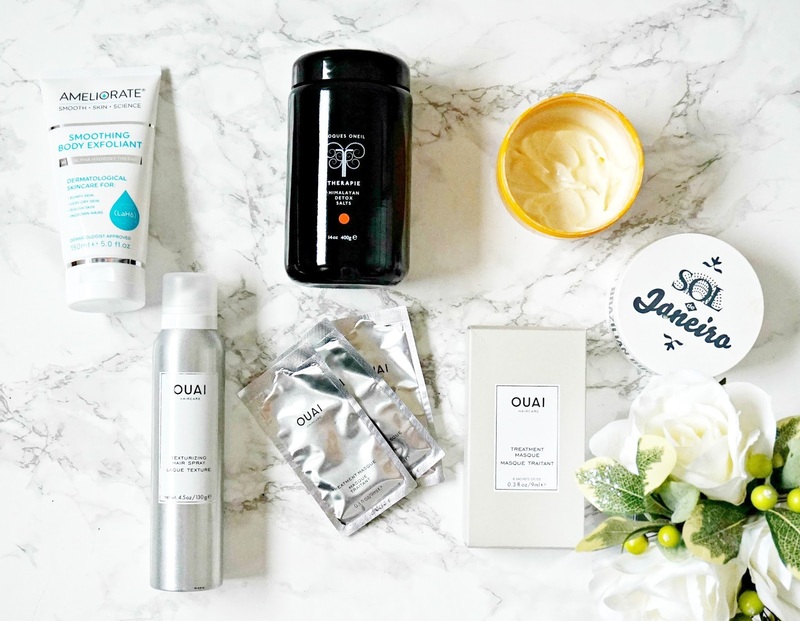 Regular readers won't be surprised by any of the products as I have raved about them numerous times but it's good to put them all together in one post to showcase the best of the best! At the end, I will choose just one product from each category that is my Cult Product of 2017. Today, the focus is on skincare because we all know that I'm a total skincare junkie! 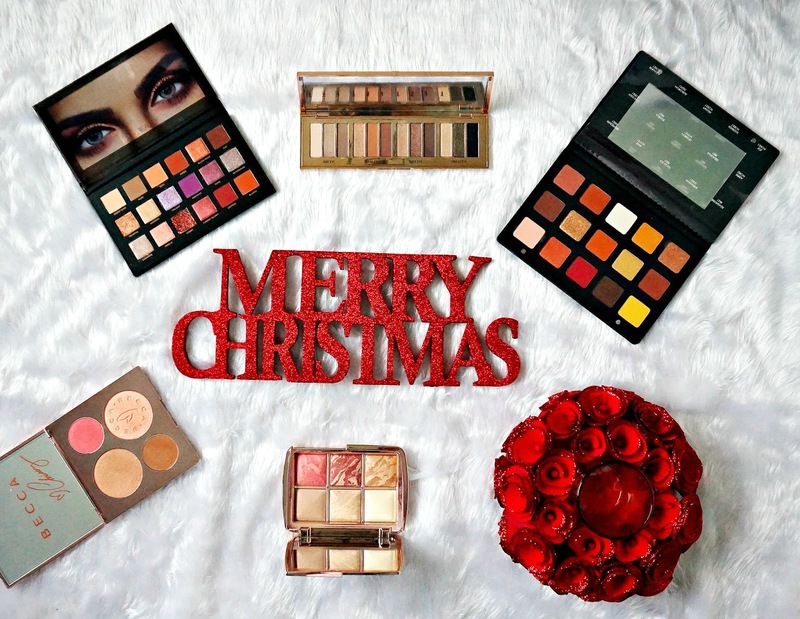 5 palettes that should be on your Christmas wish list! As a palette addict, I had to do a separate post on them rather than include them in my Christmas Gift Guides! Today I am sharing five palettes that should be on your Christmas wish list if you don't own them already. All five were released this year and I think anyone who loves makeup would be delighted to find one of these under the tree at Christmas! I hope you've been enjoying my gift guides so far! Today, I am focusing on stocking fillers. The stocking was always my favourite part of Christmas presents because I loved that there were so many little gifts in there and, to be honest, I am still the same! My Mam still gives individually wrapped small pressies because she knows how much I love them! 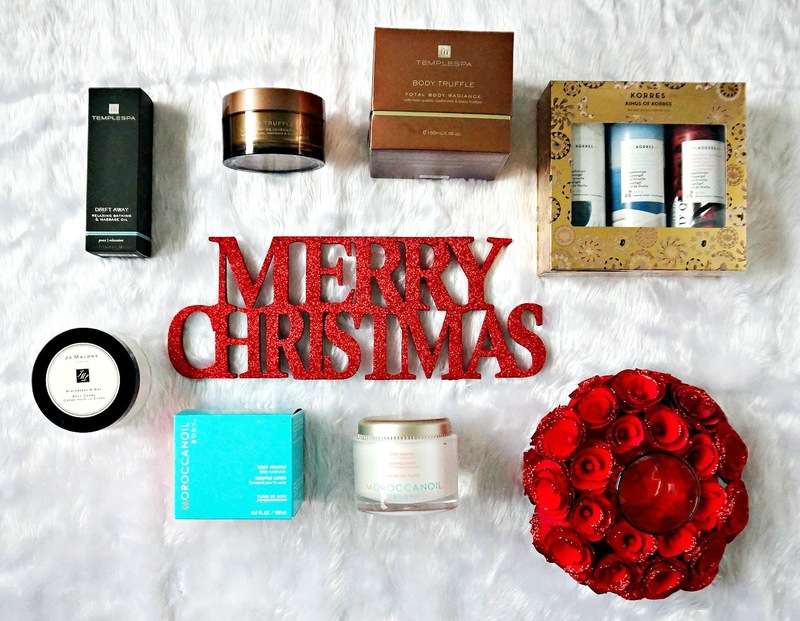 I have eight products to share with you today that I think make ideal stocking fillers! 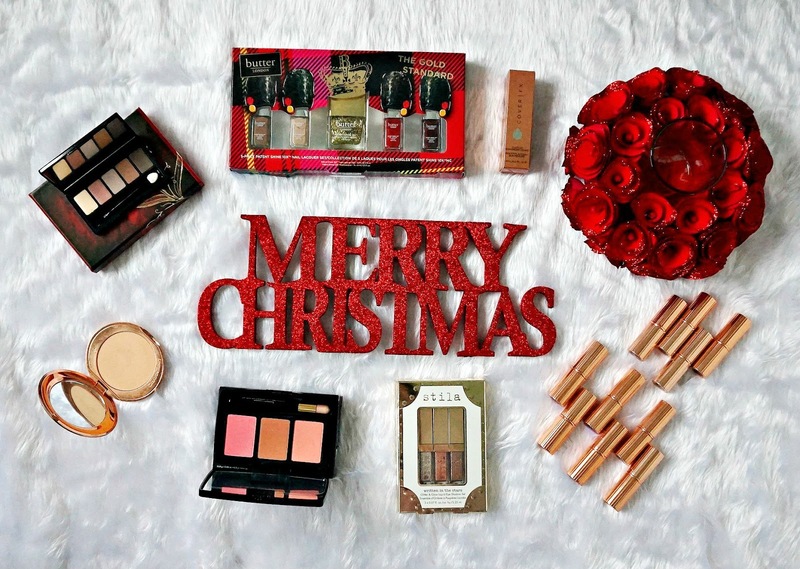 Today's gift guide is all about makeup and nail products. I have included some eye products but I will have a separate post on Friday with larger palettes, otherwise this post would be far too long! Everything here is under €50/£50 with most products being round the €25-30/£25-30 mark so hopefully there is something to suit all budgets! I hope you enjoyed the skincare installment of my Christmas Gift Guide yesterday, today it's all about bath & body products. I personally love to receive a gift in this genre because I love a good pamper session and usually only use budget body products so to receive something a little fancier is a real treat! I have five products that I hope will serve as some inspiration as a gift for somebody in your life who needs a good pamper! 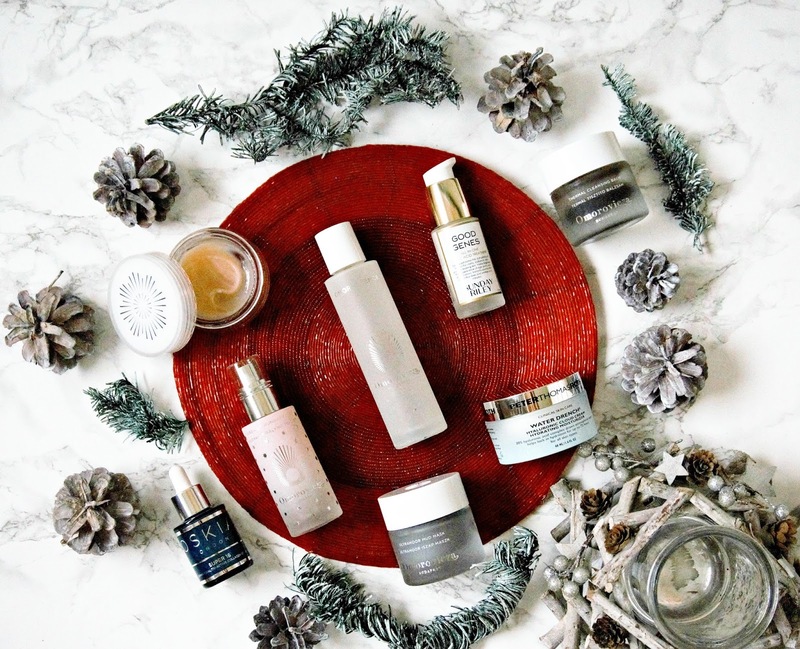 Christmas Gift Guide for skincare lovers! All this week, I am going to be sharing my Christmas Gift Guides on the blog! 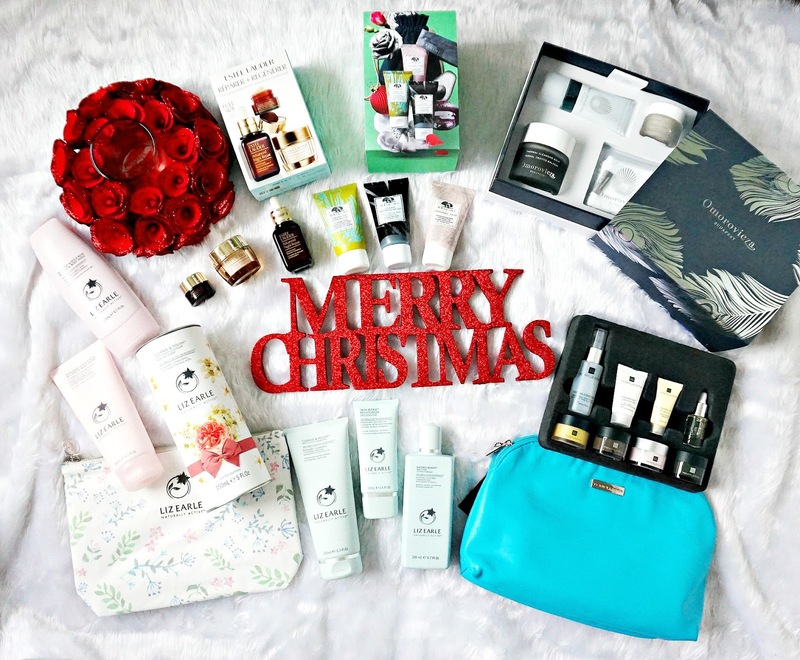 There are so many amazing gift sets available at the moment but rather than just list everything that's out there, I am focusing on gifts that I have bought for friends and family (I hope they aren't reading!) or would love to receive myself so I hope they can provide some inspiration for those of you who have yet to start your Christmas shopping. Today, the focus is on skincare sets, which I love because they give the opportunity to try a number of products from a brand, usually for the price of one full size product. I know that some people never use primers, but for me, it's a step that I cannot skip. My skin is dry, has visible pores and some texture so I use primers to counteract those issues rather than for longevity as I generally don't have problems with my base disappearing after a few hours. I am slowly but surely working my way through my stash of primers and although I shouldn't really have added new primers before finishing others, I just did! No excuse, I just wanted them - well, I bought two and one was sent to me! I've been using them for around a month and am ready to share my thoughts! 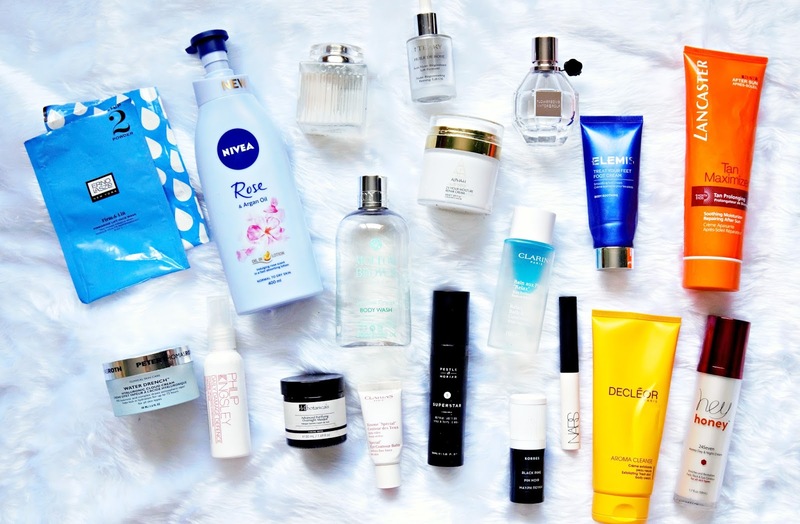 I'm a self-confessed skincare junkie but I also need some consistency in my routine, which means that I don't like to try too many new products into my routine at once. 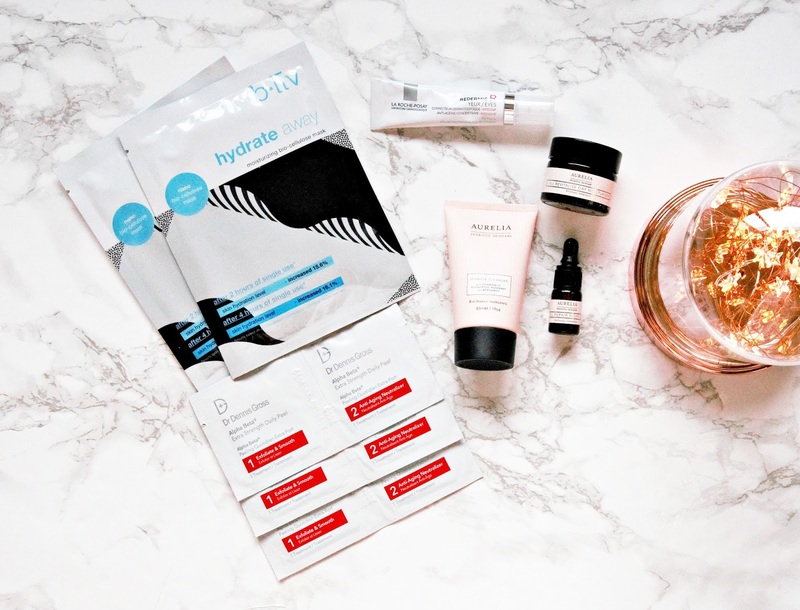 That being said, a change is sometimes needed because my skin can get too used to the same products so with that in mind, today I am showing you some recent additions to my skincare routine. Earlier this year, after using a product that was sent to me, my skin went crazy and broke out like never before. 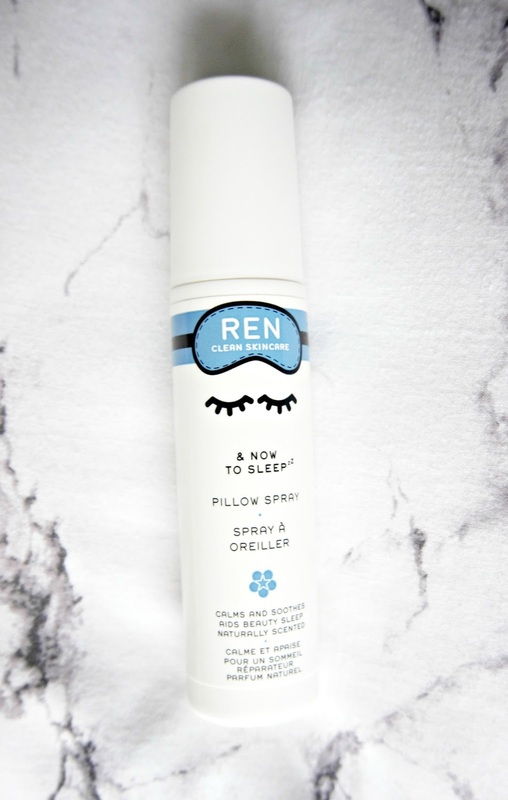 I have dry skin and don't normally have to worry about breakouts, apart from the odd hormonal spot that comes at a certain time of the month and even at that, it isn't every month. My skin reacted so badly to the product and triggered such a bad breakout that it honestly took around 6-8 weeks to settle down and clear up (shea butter and cocoa butter are not friends of my face!). I was really desperate for my skin to get back to normal because not only were the spots very painful but my skin was also very inflamed and I didn't like applying makeup as I didn't want to aggravate it further but sometimes I just had to! Why am I telling you this? 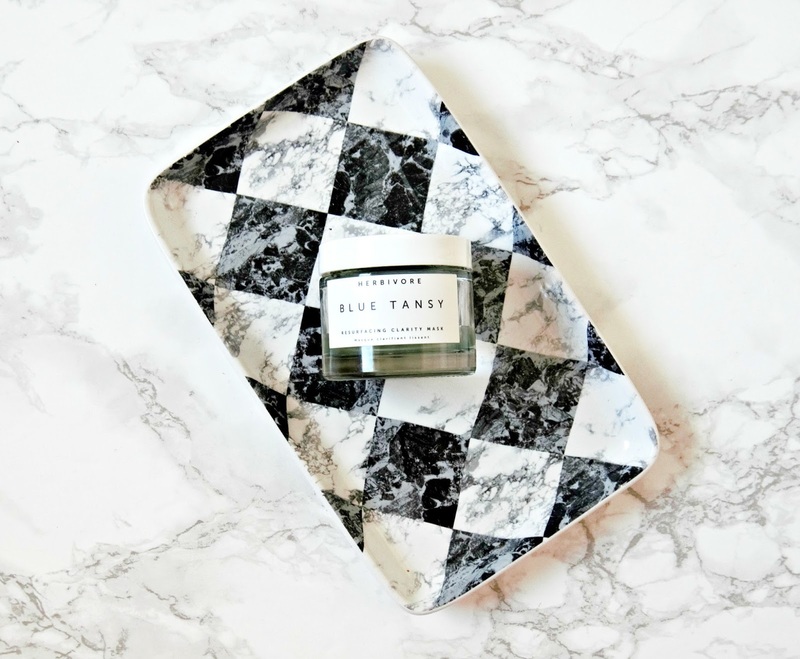 Well during that time, I felt that I needed a new product to my routine to treat the breakout and prevent more occurring and that is why I bought the subject of today's post: Herbivore Botanicals Blue Tansy Face Mask. 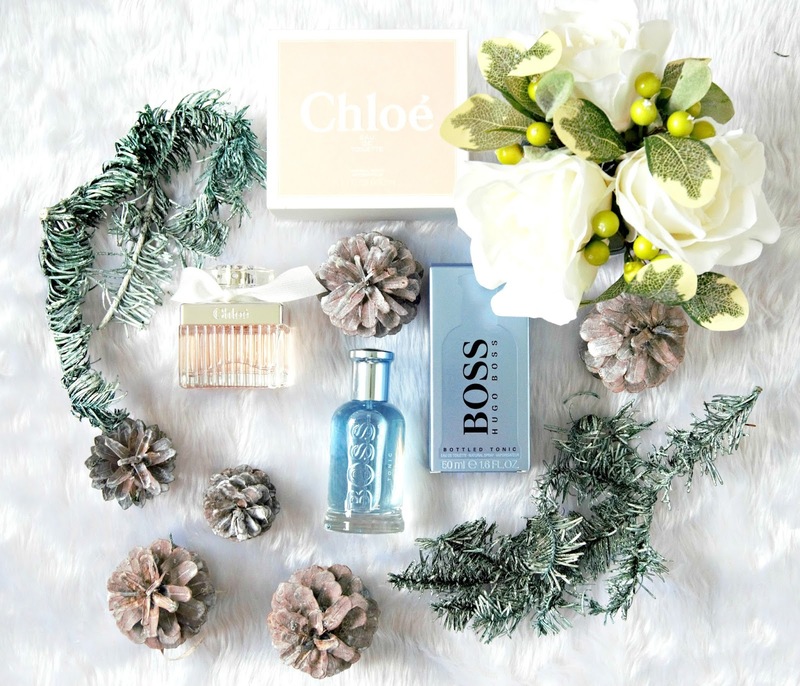 Over the next fortnight, I will be sharing some Christmas Gift Ideas here on the blog. I know that some people may think Christmas shopping belongs in December and each to their own, but in my book, it's never too early to start! I have a big family and buy for around 25 people on my side alone so I always start early! For at least 15 years now, I have always bought aftershaves for my three brothers and I have asked them several times if they would like me to buy something different and every time, they say that they would be disappointed if I didn't buy it for them because it's something that they would rarely treat themselves to. I know that fragrance is quite personal but if you have an idea of the type of scent that a person likes, you should be able to choose a suitable perfume or aftershave or you could always re-stock an old favourite. I also like how compact fragrances are so if you go away for the festive season, which I am doing this year, so I will be buying some for my sisters in-law as they won't take too much room in my luggage. I also love to receive perfume for Christmas and all of my family know that so I usually end up with at least 2 new bottles! Today I am sharing two fragrances that are personal favourites that might work as gifts for your loved ones but there are so many more available on Fragrance Direct. I don't know about you, but one of my favourite things about going abroad is doing a little bit of shopping in Duty Free! I usually squirrel away some money just to spend there because there is always amazing value to be had. I also like to take advantage of family members flying by using Reserve & Collect, which means that you can browse the site to check availability and price of products and reserve them. This is particularly useful if you will be short on time in the airport or want to be sure your friend or family member picks up the right product for you. Also, you get to reserve the products at the price they are on that particular day, so if they increase in price by the time you fly, you will still pay the lower price. It is also useful for doing Christmas shopping because you know that all of the products you want will be in stock. Today, I want to share three products that are amazing value and can be bought in World Duty Free. 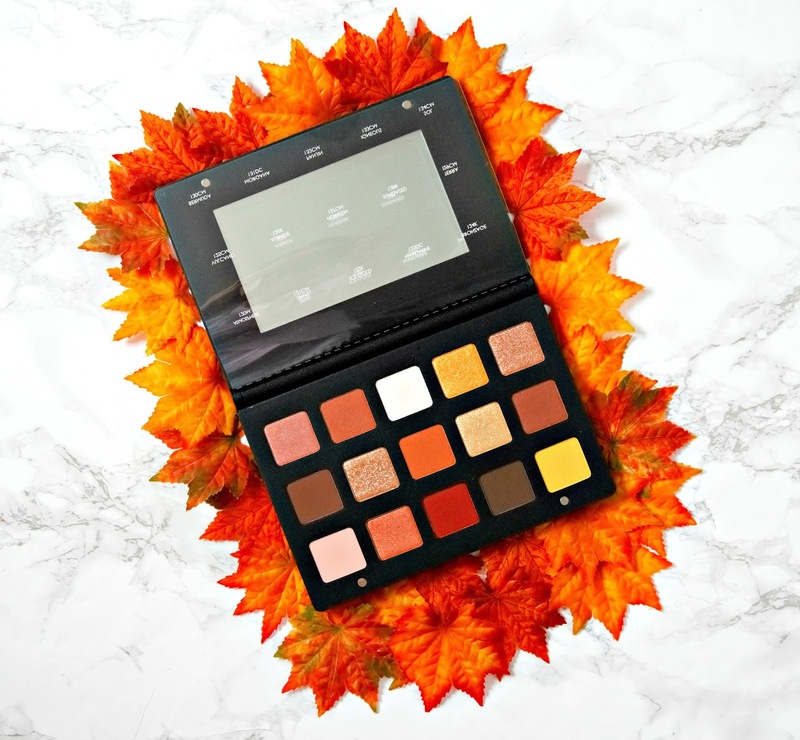 As you probably know, I am a huge fan of Natasha Denona products (see brand focus post here), particularly her eyeshadows but so far, I have only had her 5 pan palettes. When I received the Sunset Palette, you could have knocked me down with a feather because I lusted after it when it was released but it sold out very quickly. Fear not, it is now back in stock and is part of the permanent line! I love the selection of warm shadows and that there is a good range of shades so even if a bright yellow isn't to your taste, there are many wearable shades in the palette too. Beauty advent calendars have really increased in popularity in the last few years, with so many brands now releasing them. 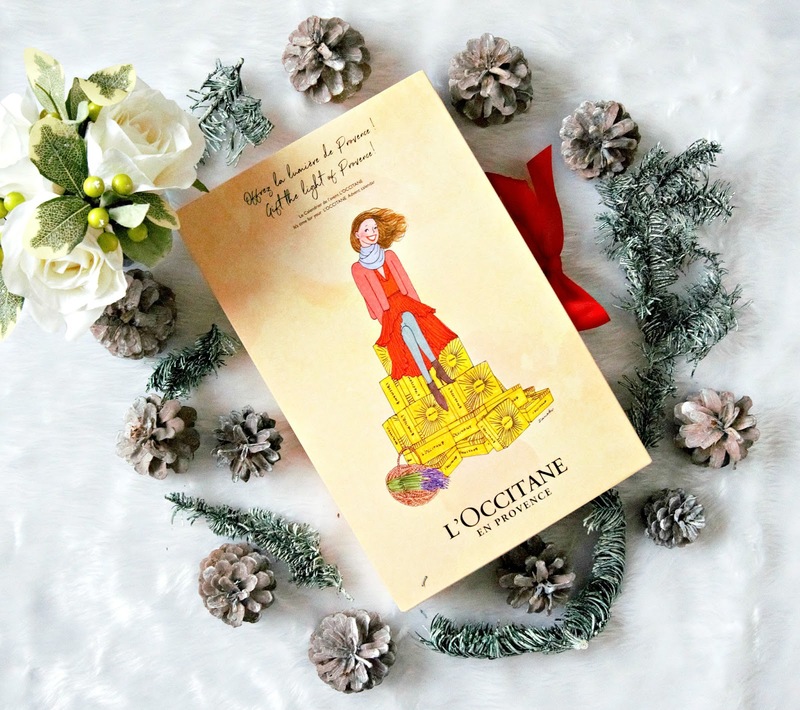 Today I am very excited to share my thoughts on the 2017 L'Occitane Advent Calendar and I also have one to give away to one of you! The Classic Beauty Advent Calendar has a value of £87 but is priced at £49 so that's quite the saving! 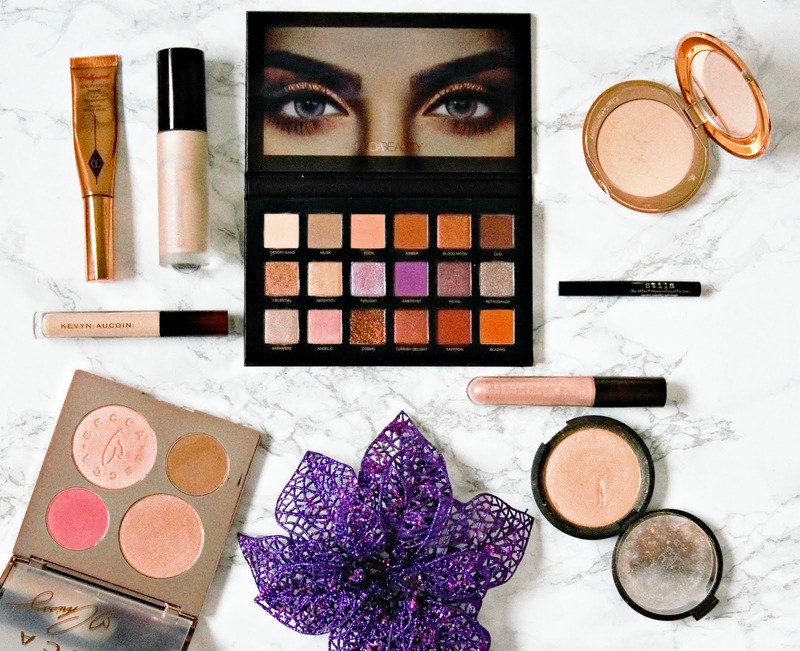 It's time for another Brand Focus post (see previous posts here) and this time, it's all about Huda Beauty, which also coincides with it being Cult Beauty's Brand of the Month. If you aren't already aware, that means that there is free shipping on all Huda Beauty products for the month of November. Unless you have been hiding under a rock, you will know who Huda Kattan is but if you don't, what you need to know is that she is a hugely successful American-Iraqi makeup artist and youtuber who is now C.E.O. of her own beauty empire. Her first release was false lashes but she has since released eyeshadow palettes, highlighters, lip products and, more recently, a foundation and today I will give you an overview of all of the products I have tried. 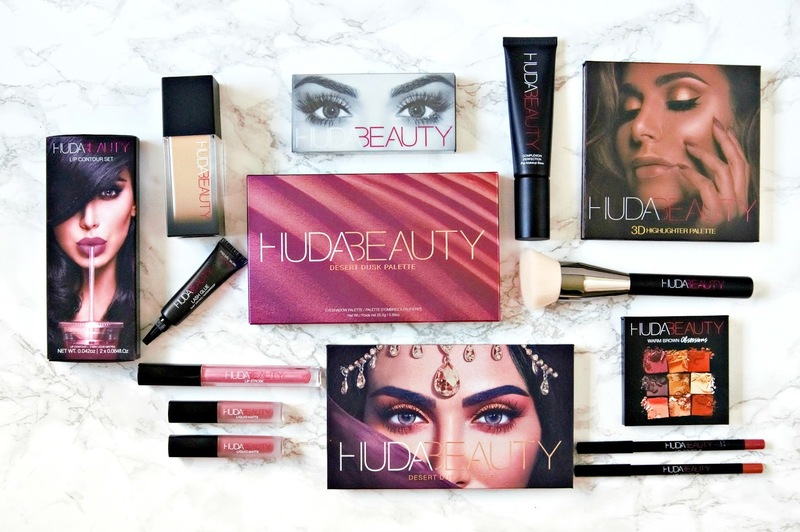 I love that Huda's face is on all of her products - I have heard some people say that it's narcissistic but I think that there couldn't be a better model or ambassador for her own brand. Remember that Huda Beauty is a relatively new brand so more products will be added to the line in time. 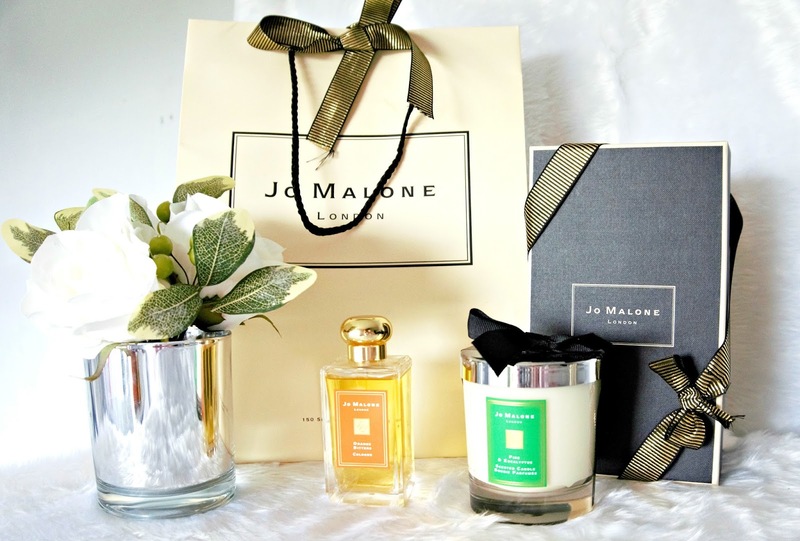 Every year when the Christmas limited edition Jo Malone products are released, I tell myself that I will buy everything something but every year, the products sell out really quickly, plus it's at a time of year when I should be thinking about buying for others so I generally miss out. This year, I happened to be going through Duty Free around the time of the release and managed to bag myself two of the products that I had wanted last year - Orange Bitters Cologne and Pine & Eucalyptus Home Candle. It was hard to resist them because of the savings involved! 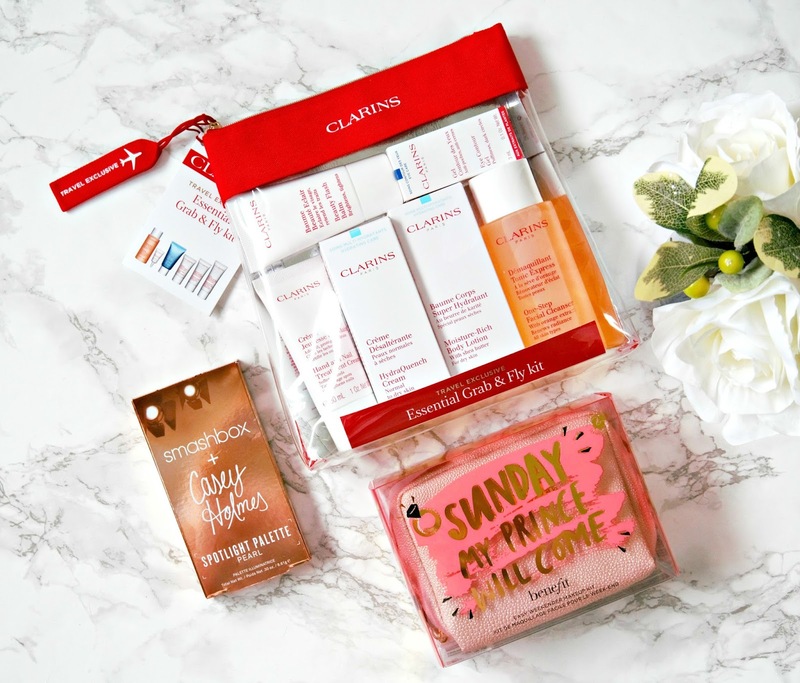 Empties & speedy reviews #39 featuring Hey Honey, Alpha-H, Peter Thomas Roth, Clarins & more! 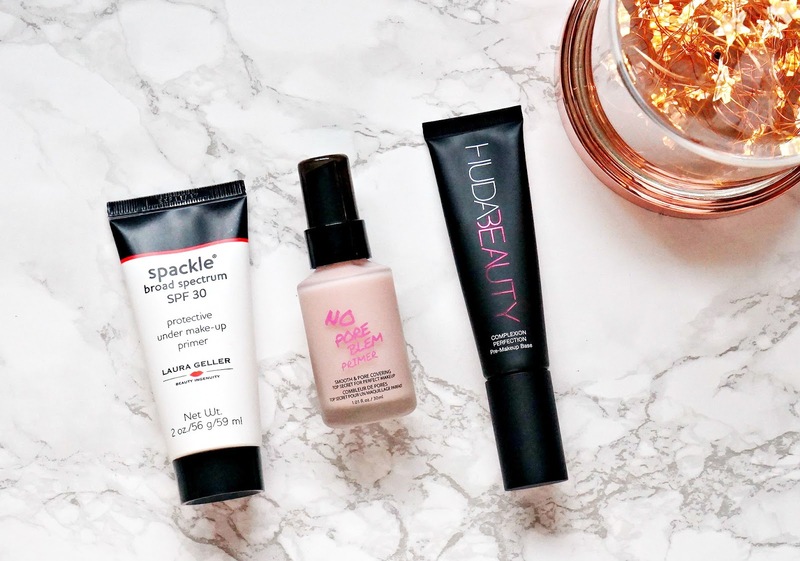 You know the drill by now - I share my thoughts on a roundup of all of the products I finished up recently and tell you whether I would repurchase the products. I have so many skincare products this month because I am really focusing on finishing products that I have had open for a while, therefore I have yet to repurchase any of these products but some of them will be back in my stash at some point.